When it comes to horror movies, it's very hard to impress me. I'm not saying that I'm a horror movie snob, but at a certain point, horror just wasn't scary anymore. I wasn't being unsettled by a gruesome monster, or unnerved at a creepy hallway, or dreaded seeing a character walk into an obvious scare. I just became numb to what horror traditionally was. I grew up watching horror movies like Nightmare on Elm Street, Evil Dead 2, and the classic Hammer horror films. Those movies defined what horror could be for me, but as I got older, I wasn't scared of them. Hell, I wasn't even disturbed by them. I just saw them as good movies with a dark aesthetic that was different from what was popular with my generation. While everyone else watched Disney movies, I was more interested watching Psycho. And let's not even get started at the state of then modern horror movies like The Blair Witch Project, The Ring, and Paranormal Activity. But a weird thing happened this weekend when I went to go see A Quiet Place. It was a fantastic movie and a part of why it was so good was because it got under my skin in a way that I didn't expect. I wouldn't call it a scary movie, but it presented its concepts in a way that felt different and felt unique. And then I looked back at the past couple of years and realized that there are now plenty of horror movies that I would call modern classics. I can't even begin to count them all, there are just that many of them. Ladies and gentlemen, I'm happy to say that we're in a new golden age of horror movies. An age where creators are willing to take risks on classic horror norms to make something fresh, sometimes scary, but always entertaining. There are two main horror movie subgenres that I want to talk about. We have your slasher horror, shlock horror, and low budget horror films that I'll call "Fun Horror." These are the horror movies you can laugh at because of how intense they are, how gory they can get, and just how much of a visceral thrill they are. These would be your Friday the 13ths, your Screams, your Paranormal Activitiess. These are the horror movies that come out and look to just entertain you. But then we have the horror movies that want to scare you and try their damndest to make you squirm. These are "Scary Horror" movies. You're not watching these movies to entertain yourself, but watching them because they really do scare you and do a damned good job of it. Look at Rosemary's Baby, The Thing, and Alien for classic examples. But since the turn of the decade, we're getting horror movies that don't easily fit into these two styles of horror movies, at least not neatly. We're getting horror movies that aren't just dumb fun, but have something to say. We're getting horror movies that are smart and are much better at manipulating their audiences in unique ways that haven't been tried before. In fact, I'd argue that there are a ton of horror movies coming out that are innovating exactly what it means to be a horror movie. A Quiet Place was a great movie and while I won't call it the scariest horror movie I've seen, it was one of the most interesting and did a fantastic job at setting a tone that seeped even into my theatre. When an audience member made a noise, everyone in the theatre turned to them or panicked just for a split second. The actual scares in the movie are sparse, but the use of sound is perfect for making the audience uncomfortable and worried about what's going to happen. This was a bold idea that could have easily gone south and had been played for cheap thrills, but it never did. It played it completely, 100 percent straight. I think that my love for modern horror movies just comes from the fact that there is new technology for filmmakers to use and an audience that craves a new way to experience scares. I could go on and on about my favorite horror movies in recent years, and believe me I would, but I'd rather talk about the recent trends that have popped up over the past few years. 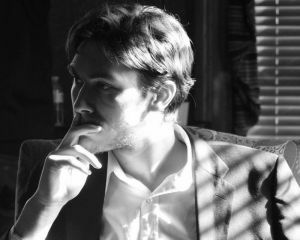 New ideas are being experimented with, horror movies are treated more seriously by their creators, new spins on tired concepts are used, and there's now just much more of an air of authenticity to the genre. Unfriended sounds exactly like a shlock horror movie from the 80's. In fact, it's set up almost exactly like an 80's horror movie. A bunch of unlikeable teens get murdered by a ghost that wants revenge on them. It's one of the oldest tropes in horror and yet the concept is played brilliantly by keeping the focus on a single laptop screen. The camera never shifts or moves, we're just looking at a monitor for 90 minutes straight. While the Skype conversation is the main draw -- watching all of these awful teens die with lag, screen tearing, and frozen screens galore -- it's the little things on the side that make the movie stand out. Seeing text pop up on the side, a playlist slowly change, the computer acting wonky, you wouldn't think it's compelling to watch, but I had my eyes constantly zooming around just to see if there's anything secret that I'm missing out on. By all accounts, Unfriended shouldn't have worked as well as it did but I was shocked at how much I enjoyed it. Hell, I would even go so far as to call it one of the best horror movies of 2015. Granted, it doesn't hold a candle compared to The Babadook and Oculus, which I highly recommended, but if a movie about a laptop screen could keep me engaged, that's not blind luck. That takes skill for me to look at an unmoving image for 90 minutes and still be immersed by it. The fact that Unfriended has a sequel on the way is fantastic to me, and the fact that it's actually pretty good is even better. That being said, I know that Unfriended is a polarizing horror movie that has its fans but has just as many detractors. And that's fine. Unfriended is fun because it has an interesting concept and is scary because of how that concept messes with the audience. But maybe it's considered a gimmick. Maybe it has a decent idea, but the core is still horror shlock. Well in that case, what about last year's horror behemoth IT? It's officially the highest grossing horror movie of all time and it became an internet phenomenon almost instantly. How did it succeed so much? It's really pretty simple; IT is just a great movie. The original IT is kind of... not great if we're being perfectly honest. Sure, it had Tim Curry being Tim Curry and Tim Curry is the best, but I would argue that the movie was pretty dumb with its concepts and ideas. It didn't fully understand what made IT scary or fun outside of the obvious "Look at the scary clown!" The remake succeeded because it understood that there was more to the movie than just a monster/clown that hunted children. It was a movie about the children being hunted by a monster/clown. The focus was on the characters first and actually fleshing them out and learning what made them tick, what they were afraid of. The original miniseries tried to focus on them, but it couldn't pull it off without a hitch due to the acting and the really odd directing choices. 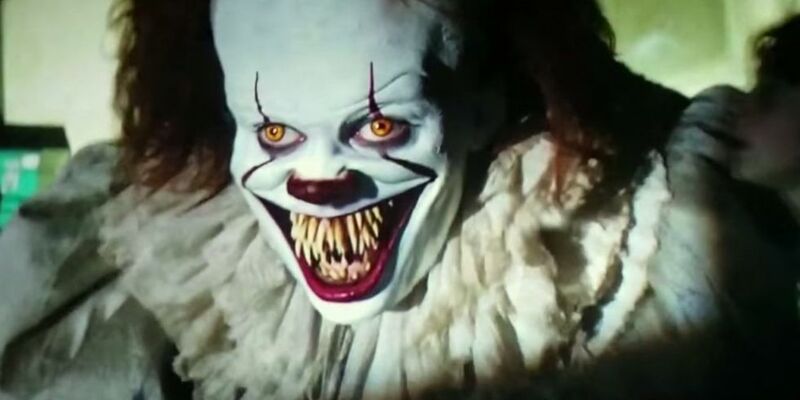 IT is both scary to watch because it builds up tension perfectly, but fun because we want to see just how Pennywise will mess with them next. Whether it's turning into a werewolf, a painting, or whatever the hell he was doing dancing in the sewers, he was the reason why people remembered the movie and why it was so successful. The difference between the two versions alone shows how much horror has changed and how the world perceives horror. Back in the day, if you wanted to make a horror movie that was taken seriously, you had to label it as a "thriller" first and foremost. The IT miniseries focused on trying to be a thriller instead of a horror series, and that lack of confidence in its identity shows. The original IT was not scary, but now the remake is regarded as the better version in part because it embraced it's horror roots. Before, horror was a genre that no one really gave much mind to, but now? Horror movies can now make hundreds of millions at the box office. But now horror movies are also getting a ton of critical praise like never before. Up until last year, the only horror movie that mattered in the eyes of critics was Silence of the Lambs, which was crowned the Best Picture of 1991. Last year we had Get Out, which not only was nominated for Best Picture, but for Best Actor, Best Director, and Best Original Screenplay, which it won at the Oscars, and that's not even including its Golden Globe and SAG awards. And if you want to expand your definition of horror a tad, The Shape of Water, which is a sendup to classic horror movie tropes and repackages them as a romance, won for Best Picture, Director, Soundtrack, and Production Design, making the second most successful horror movie at the Oscars behind Silence of the Lambs. But while Silence of the Lambs could be considered lightning in a bottle, a single movie that came along at just the right time, this is a trend. This is a series of events that all link together to paint a bigger picture. Horror movies have never been more popular, more profitable, and more refined. Even the crappy horror movies like The Bye Bye Man are now the anomalies in the grand scheme of things. They exist, but no one cares about them and forget about them within a week. 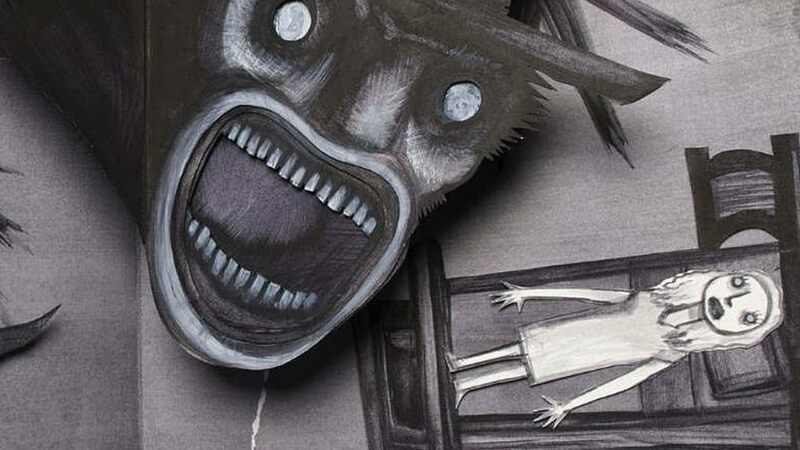 But for The Babadook, IT, Get Out, The Shape of Water, have staying power and are still discussed in some capacity today. I personally cannot wait for the next wave of amazing horror movies to come out in the next few months. Hereditary looks amazing, I want to see when Unfriended: Dark Web hits theatres, and I can't wait until we get the new Halloween movie, which should at the very least be interesting to watch. It's a great time to be a horror movie fan.